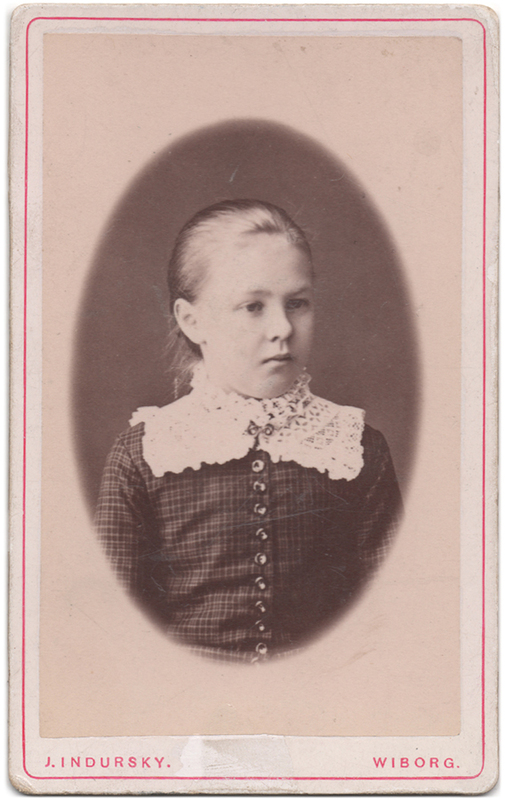 A photograph of a young girl with a rather solemn expression. Her name has been written on the back of the photograph, which reads (in Swedish): “Hedvig (Vava) Palmberg, later Grönlund“. It always amazes me how it is often possible to find pieces of information about people who lived well over a century ago, provided that there is some tiny bit of information available to get started; in this case, we know her name and the surname of the man she married later, the city in which the picture was taken, and also the name of the photographer, which helps in narrowing down the possible date of the photograph. 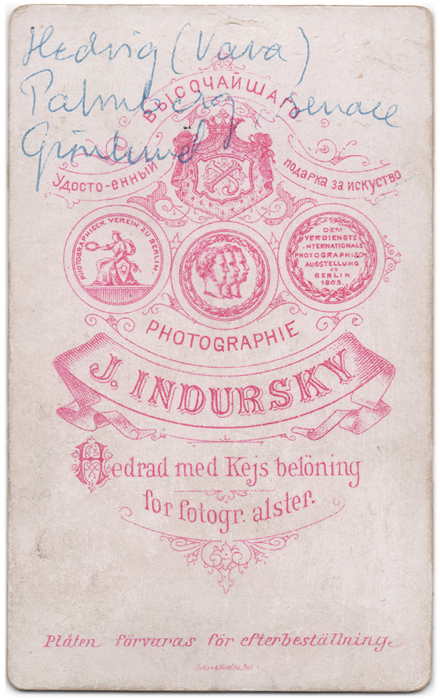 The photograph was taken in Viipuri, Finland, by photographer J. Indursky at some point during the 1880’s.